Your order will ship MONDAY if placed in the next 2 hours 46 minutes . Enter your shipping address zip code to receive an instant delivery date estimate from UPS. 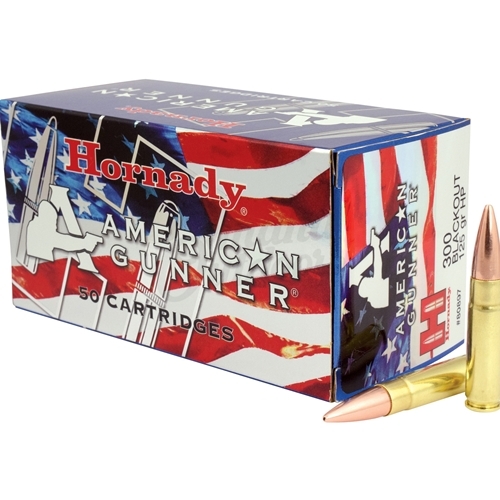 Hornady American Gunner 300 Blackout Ammo 125 Grain Hollow Point Boat Tail ammo for sale online at cheap discount prices with free shipping available on bulk 300 Blackout ammunition only at our online store TargetSportsUSA.com. 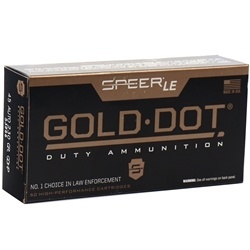 Target Sports USA carries the entire line of Hornady ammunition for sale online with free shipping on bulk ammo including this Hornady American Gunner 300 Blackout Ammo 125 Grain Hollow Point Boat Tail. Hornady has combined a generation of ballistic know-how and combined that knowledge with modern components and manufacturing excellence to create a line of ammunition that will deliver the consistent accuracy and performance that they have built their reputation upon.